I am spoiled. Living in Italy, I have the pleasure of eating lots of really high quality, delicious pizza each and every day. Seriously, I eat pizza every day. 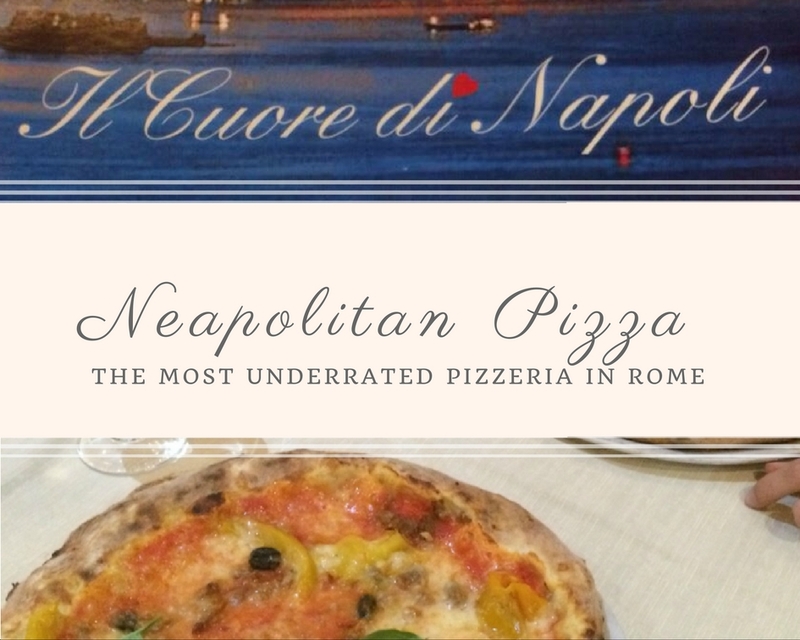 A lot of them claim to be the best, and while they taste good, something always draws me back to the unassuming, humble Il Cuore di Napoli restaurant and pizzeria. And as soon as I take the first bite, I am reminded over and over again why it is my favorite, from the perfectly puffy dough to the spiced tomato sauce to the gooey melted cheese, always fresh out of the oven. The steam from the pizza wafts up into my face every time, practically begging me to take a bite (and burn my tongue!). My boyfriend just happened to stumble across this this little hole in the wall during his first visit to Rome a while back with his family. It was only rediscovered by him a few months ago. We were trying to find a place to eat dinner, but nothing sounded appetizing to him. And then he remembered the pizza from "Il Cuore" as he calls it. Now, we go here once a month. We have celebrated birthdays here and even taken my mom here when she visited me in Rome. No matter how many times we go, it has become tradition to get lost on the way. No, we are not bad with directions! Il Cuore di Napoli is just that tiny! In fact, the restaurant only seats 8 parties and as far as I know, there is only one waitress on staff and most likely only one cook behind the scenes. The pizza margherita (the classic cheese pizza) costs 6 euros, whereas the pizzas with toppings range from 6.50 to 10 euros. My go-to favorite is the Peperonata, which comes with tomato sauce, mozzarella cheese, Italian style roasted bell peppers (the only way I like them), sausage, and black olives. It is a unique combination of flavors and the perfect balance between cheese, dough, meat, and vegetables. They do serve a variety of Italian foods and desserts, and while they also look good, my heart is set on pizza and I'll never want to try anything else. My boyfriend, on the other hand, has ordered the Montanare as an appetizer before and loved them - little fluffy fried dough balls with a smearing of tomato sauce on top. Notice that the menu has not been translated into English. Il Cuore di Napoli is the real deal. It is authentic, for locals, and does not cater to tourists. It may be good to brush up on your Italian vocabulary before planning a visit. Hours: Every night for dinner 6:30 pm - 12:00 am and Monday - Friday for lunch 12:30 pm to 3:00 pm. I have been to this restaurant, and it is absolutely delicious.